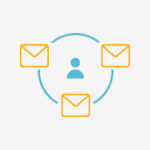 Multiple Admin E-mails Add-on allows you to send Profile Builder’s User Notification E-mails to Multiple E-mail Addresses. Alternatively, you can install the Multiple Admin E-mails Add-On by extracting the folder found inside the archive and uploading the entire folder via FTP to your /wp-content/plugins folder found inside your WordPress install. For Multiple Admin E-mails Add-On to work as expected, you’ll also need to have at least Profile Builder version 2.0.6 or higher. 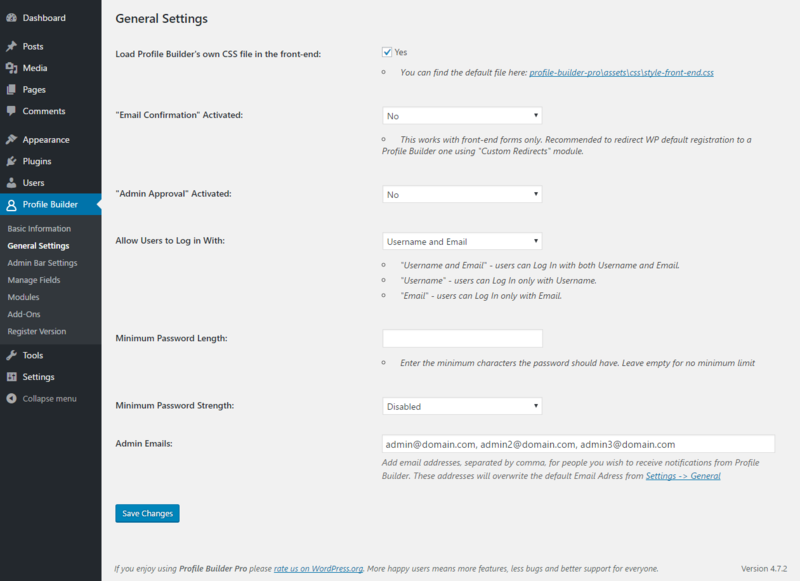 This Multiple Admin E-mails Add-on will add a new option inside the General Settings page of Profile Builder where you can enter multiple e-mail addresses that you wish to send Profile Builder Admin Notifications. Therefore, when a new user is registering or there is a new user waiting for Admin Approval, an E-mail Notification will be send to each and every one of these addresses. Activating this add-on will replace the E-mail Address found in Settings -> General. Navigate to Profile Builder -> General Settings and you should see the new option named ‘Admin E-mails’. In this field you can type as many E-mail Addresses as you need, separated by a comma. By default, when you activate this plugin, it will be populated with the default E-mail address from WordPress.